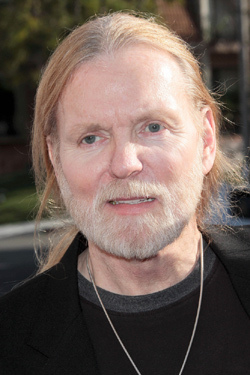 Gregg Allman will be laid to rest near his brother Duane and fellow Allman Brothers Band member Berry Oakley following a service at Snow's Memorial Chapel Saturday (6/3). Macon, Georgia is preparing for a large turn-out of fans, but the ceremony itself will be private, as will a reception follows it on the grounds of The Big House, the band's communal home in the early 70's that is now a museum. Only two original band members are still with us, Dickey Betts and Jaimo - Jai Johanny Johnson, but many more in the ranks of subsequent generation members of the group and various spin-offs are expected to attend and fans are expected to line the streets during a procession. Family, band members and close friends Gregg's will gather after the burial for a private dinner at the H&H Restaurant, a Southern and soul food establishment Gregg and the band loved. Various venues in the city will be staging tribute performances dedicated to Allman throughout the weekend.